Learn What Hospice Care Means To Families | More Crunchy Beach Mama! I do not know much about hospice care. I’ve been fortunate that I haven’t had to deal with sick or ailing relatives close to me yet. Though I’m sure a time will come when I will be doing my own research. For most people a good death means being physically comfortable, at peace in your own home, enjoying as many moments as possible with loved ones doing the things you love to do up until the very end. Hospice care offers that. 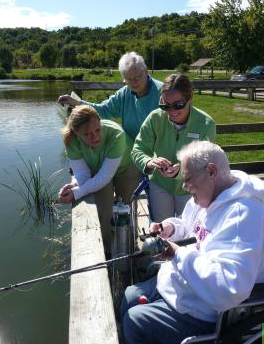 Hospice is a team-oriented approach to providing specialized care for people facing a life-limiting illness or injury. It includes expert medical care, pain management and emotional support for patients and their families. Hospice care supports living one’s life to the fullest with dignity regardless of how much time remains. I know I want everyone I know and love to have that good death. To join the national conversation on how to make more meaningful moments possible, find a hospice, or learn more about what hospice is all about…visit MomentsofLife.org. For more information on hospice care click here. Have you had a loved one in Hospice Care? You’re right! In my opinion, it’s important to give people, who needs care, bright moments and provide support which they needed. It’s like to help students who are not able to write their essays, dissertations because of inspiration and ideas leak.